Colorectal cancer is very common, usually occurring after the age of 50. The existence of polyps (protrusions of tissue from the wall of the bowel into the lumen) generally precedes the development of colorectal cancer. Polyps are painless but can bleed, causing blood to be present in the stool. The progression to cancer usually does not occur until after the age of 40 unless there is a genetic-linked familial disorder. Routine medical examination helps detect colorectal cancer at early stages, thereby improving the likelihood of successful treatment. Simple tests to chemically detect small amounts of blood in the stool that are not visible to the eye can be easily performed in the home. Both polyps and colon cancer occur much more frequently in Western societies where the diets are low in fruits, vegetables, protein from vegetable sources and fiber. Smoking and drinking alcoholic beverages appear to increase the risk of polyp formation. Evidence suggests that diets high in calcium, folic acid and fiber act as chemopreventive agents, reducing the risk of colorectal cancer. There is evidence that use of some nonsteroidal anti-inflammatory drugs (NSAIDs) prevents polyp progression to cancer in certain people. Other drugs are being tested as chemopreventive agents against colon cancer including urosodiol, a bile acid used in the prevention and treatment of gallstones. Esophageal cancer is relatively rare in the United States. It is more common in men than in women. The most common presenting symptom is difficulty swallowing. People who regularly consume alcohol or smoke (or both) are at increased risk for the development of esophageal cancer. Untreated gastroesophageal reflux disease (GERD) resulting in chronic irritation to the lower esophagus makes the cells more susceptible to cancer development. Risk for gastric (stomach) cancer increases with age. Evidence suggests that high salt intake, a diet low in fresh fruits and vegetables, and infection with H. pylori are associated with an increased risk of gastric cancer; whereas diets high in whole grain cereals, carotene, and green tea are associated with a reduced risk of this cancer. Early detection is often difficult because the symptoms are often vague. They include weakness, fatigue, decreased appetite, indigestion, abdominal pain and bloating. The detection of blood in the stool may indicate a gastric cancer, but can also be caused by many other things. People with continuous gastric symptoms should seek medical attention. Pancreatic cancer is more common among males than females, with the peak incidence occurring at 60 years of age. The cause is not known. Cigarette smoking and long-term exposure to some chemicals such as dry cleaning fluids, gasoline or metallurgic fumes, appear to increase the risk of this cancer. Symptoms of pancreatic cancer are often not present at early stages. When they occur they are usually generalized such as nausea, loss of appetite, weight loss, and weakness. If the cancer has spread to the nearby bile duct, jaundice may be seen as yellowing of the whites of the eyes and skin. Although pancreatic cancer is generally difficult to treat at this time, research aimed at developing early detection techniques and novel forms of therapy are underway. Other research is aimed at determining the effectiveness of a pancreatic cancer vaccine used in combination with chemotherapy and radiation therapy. Previous Article Pancreatic Cancer Prognosis – What does it mean? 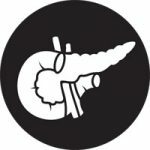 Next Article What are the common symptoms of pancreatic cancer?